Nobody wants to think about their heating system breaking down on the coldest night of the year, but it always seems like that’s what happens. Wouldn’t it be nice to know there’s a contractor you can trust to provide you with the heating repair you need? There is – Boelcke Heating and Air Conditioning. We can help you get the heating repairs you need for the comfort and safety of your family. 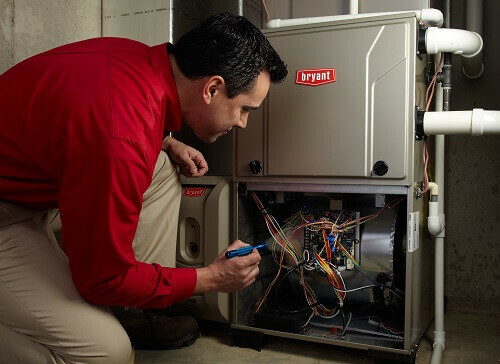 When you need a heating repair, our skilled technicians will be happy to assist you. They’ll troubleshoot your heating system, and get to the root of the problem quickly. Then, they’ll provide you with the services needed to get your heating system back up and running again. If a repair isn’t feasible, they’ll explain your options, and help you with a new heating installation if necessary. Trust Boelcke to help you get the heating repair you need for your home, and much more. When you need heating repair from a qualified heating specialist for your home, you can trust Boelcke Heating and Air Conditioning. We can help meet all your home heating needs, large or small. Simply give us a call at (269) 429-9261, and we will be more than happy to assist you.